We write to you with high hopes and know that you will take the best actions to maintain peaceful co-existence between humans and all God's creatures, Prashant Bhushan replies. The Chief Minister of Kerala replied to a letter from Senior Advocate Prashant Bhushan who had urged him to stop culling of stray dogs in the state. The Chief Minister in his letter wrote that Bhushan has been carried away by the misleading reports and that the truth stands far away from it. The Chief Minister told Bhushan that though the Government had convened a meeting of the officials of the concerned departments to discuss the ways in which the menace of stray dogs can be dealt with, the indiscriminate killing of dogs did not even figure in the discussions of the meeting. 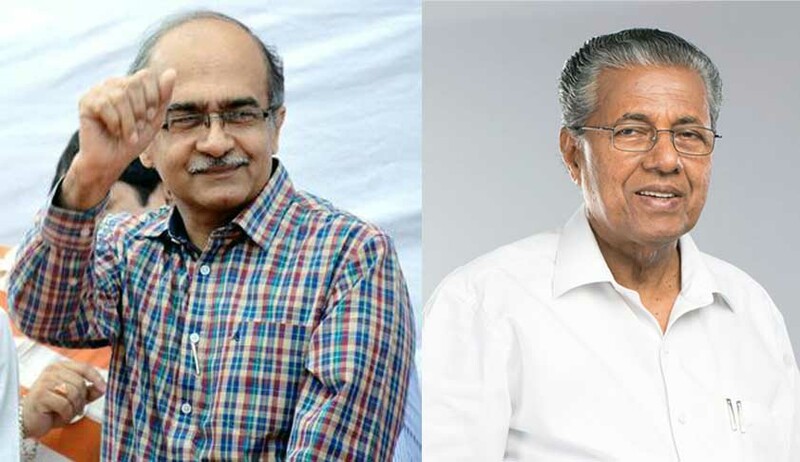 Prashant Bhushan, through another letter to the Chief Minister, attaching the pictures of Dog culling in Thrissur District in Kerala, said that such killings are going on in Kerala. He also demanded action against such Dog killers to send out a message to any such elements who want to decide to take the law into their own hands by either killing dogs themselves or instigating people to kill dog.